Great as a butter substitute. A perfect diet transition for converting from butter to olive oil to get those healthy benefits of olive oil. I used this when I eliminated using butter all together and discovered the rich, silky smooth, buttery texture that fills the mouth with its richness. 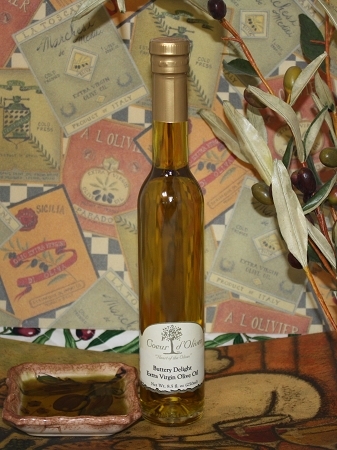 Excellent for salads, or as a salad dressing when blended with any of our Balsamic Vinegars. Use to coat pans and cooking dishes when sauteing or baking. Drizzle on rice, over fish, chicken or mashed potatoes.